In a move that echoes the price drop of the N64, due to poor consumer demand, only weeks after release, Nintendo is offering free bonus content for customers who purchase a 3DS prior to August 11 and register the console with eShop. This maybe a preemptive strike against Sony's PS Vita, prior to the lucrative holiday season, but the announced games are AAA titles. Since Nintendo 3DS launched in the United States on March 27, more than 830,000 people in the U.S. alone have purchased one to enjoy 3D visuals without the need for special glasses. These Nintendo 3DS owners represent some of Nintendo’s most loyal customers, and Nintendo is rewarding them for getting in on the action early with 20 free downloadable games from the Nintendo eShop. Starting Sept. 1, Nintendo 3DS Ambassadors will be able to download 10 NES™ Virtual Console™ games at no charge and before they are available in the Nintendo eShop to the general public. These games, including Super Mario Bros.™, Donkey Kong Jr.™, Balloon Fight™, Ice Climber™ and The Legend of Zelda™, are slated to become paid downloadable games, but Ambassadors get them early for free. Once the paid versions of the games are posted to the Nintendo eShop later in the year, the updated versions will be available to Ambassadors for download at no cost. By the end of 2011, Nintendo will provide Ambassadors with 10 Game Boy Advance Virtual Console games. These include games like Yoshi’s Island™: Super Mario™ Advance 3, Mario Kart™: Super Circuit, Metroid™ Fusion, WarioWare™, Inc.: Mega Microgame$ and Mario vs. Donkey Kong™. These games will be available exclusively to Ambassadors, and Nintendo currently has no plans to make these 10 games available to the general public on the Nintendo 3DS in the future. More details about this program will be announced in the future. The package is available in North America, Europe, Australia and Japan. 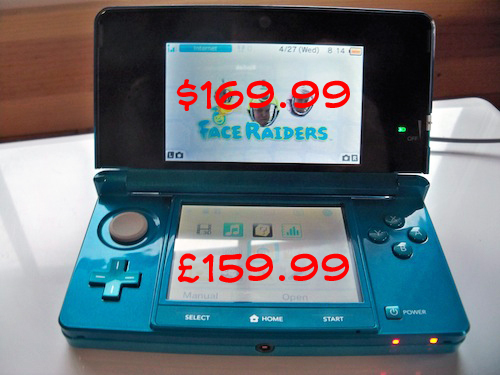 Did you buy a 3DS at full price? Is this incentive enough to compensate? For the record I bought my 3DS during the Whitsun Bank Holiday weekend sales for £160; 20 free downloadable games and a copy of 3D Classics Excitebike; I'd be churlish to complain. Read Nan Braun's insightful 3DS review here. 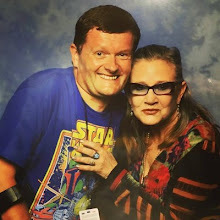 In an ironic twist, worthy of the Star Wars saga itself, British prop designer Andrew Ainsworth has won the right to continue selling Stormtrooper props, based on the original moulds he produced for Star Wars (1977), in the UK! In 2004 George Lucas's company, Lucasfilm, sued for $20m (£12m) in damages, claiming that Mr Ainsworth did not hold the intellectual property rights and had no right to sell them. The argument was upheld by a US court but could not be enforced because the designer held no assets in the country. Judges at the Supreme Court upheld a 2009 Court of Appeal decision allowing Mr Ainsworth to continue selling them after he argued the costumes were functional not artistic works and not subject to full copyright laws. This landmark decision could set a precedent and cause concern for Hollywood giants! The claim was supported by Steven Spielberg, James Cameron and Peter Jackson. Can't get enough of The Clone Wars during the series hiatus? 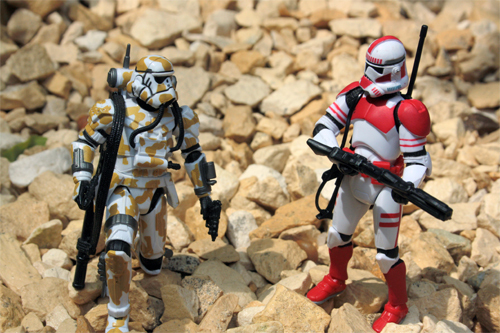 Then you're in luck because fellow Star Wars fan Tanya Glittenberg presents Clone Trooper TG for your entertainment. Start your Clone Wars collection at Toys R Us today. At this year's San Diego Comic-Con (SDCC), Lucasarts and Microsoft jointly announced the first custom Xbox 360, based on the Star Wars franchise, for the upcoming holiday season. 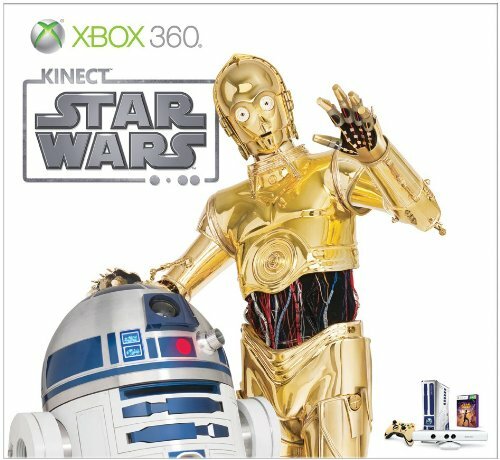 Get the Xbox 360 Limited Edition Kinect Star Wars bundle, with the first ever white Kinect Sensor and custom-designed console and controller based on popular Star Wars characters R2-D2 and C-3PO. Use the Force like a Jedi and immerse yourself in the Star Wars experience you’ve always dreamed of, in ways you never imagined possible. Pre-order the Limited Edition Star Wars Kinect bundle here. This is an awesome announcement from San Diego Comic-Con (SDCC)! Unlike similar iOS marketing initiatives, this should be worth checking out. Before you bring the Saga home, get an exclusive first look at some of the special features from STAR WARS™: THE COMPLETE SAGA - coming to you on Blu-ray September 16th! The Star Wars Blu-ray: Early Access highlights a varied sampling of bonus materials featured in the collection, including never-before-seen content sourced from the Lucasfilm Archives! Begin to explore the farthest corners of that distant galaxy, and dive deeper into the creation of the Star Wars universe. 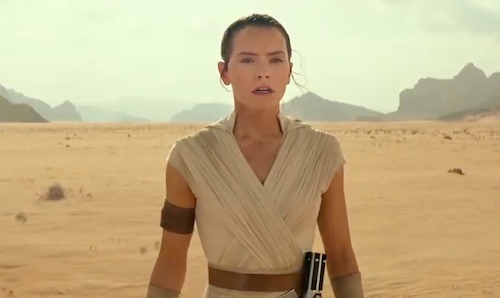 Witness the evolution of the wild concepts that became pop culture icons. Celebrate the spirit of innovation that pushed the boundaries of special effects - as described by the men and women who pioneered the new methods that made Star Wars possible. And pull back the curtain on the Lucasfilm Archives to reveal never-before-told stories about the making of the Saga. Offering an insightful cross-section of what the THE COMPLETE SAGA has in store, Star Wars Blu-ray: Early Access is your first look at the most anticipated Blu-ray collection - of all time! 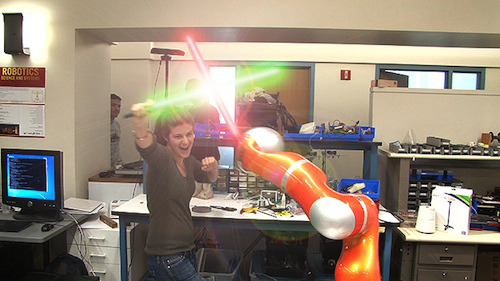 Robotics students at Stanford University have created their very own General Grievous to battle! 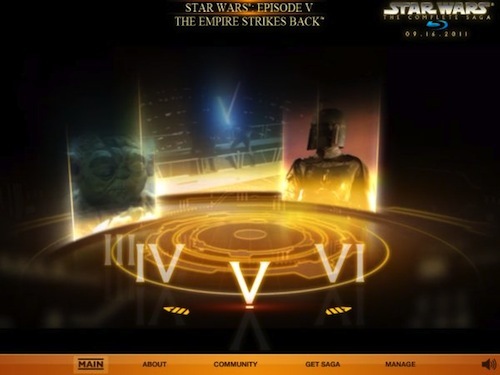 Let's hope that unofficial mashups (including Star Wars music, sound effects and special effects) follow soon. 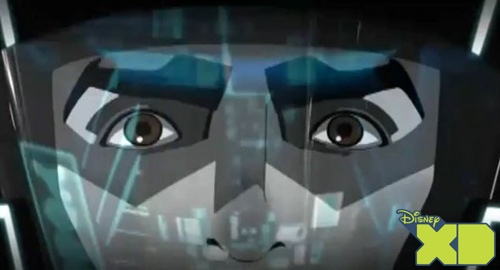 Tron: Uprising, set between events in the original Tron and first sequel, combining CGI and traditional animation techniques that owe much to anime, maybe this generation's Batman: The Animated Series. However, that's a lofty comparison. 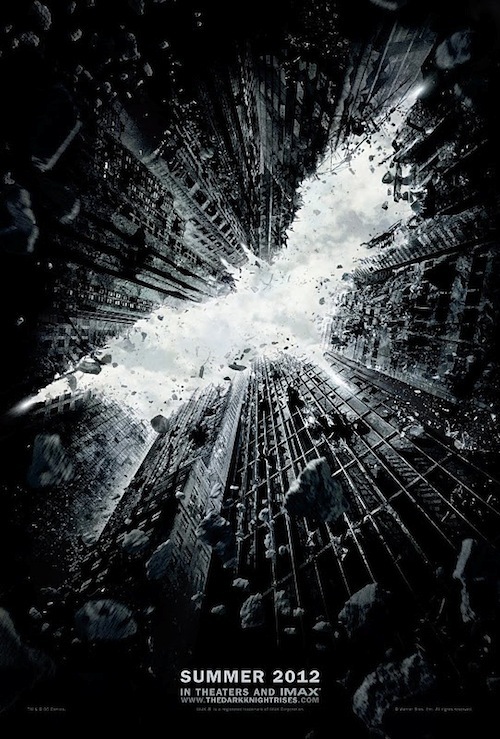 The first official teaser poster for Chris Nolan's upcoming Dark Knight Rises is evocative of the director's movie Inception! 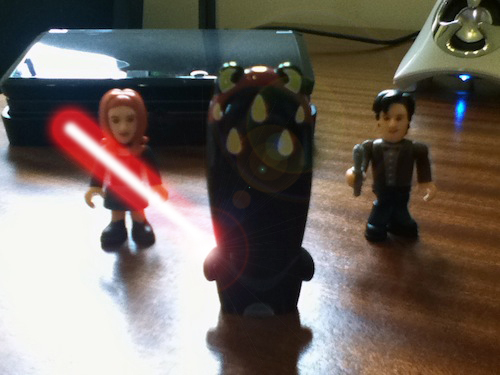 Doctor & Amy vs. Darth Maul! Thought it would be fun to pit the Doctor and Amy against one of the most feared Sith Lords to stalk the Star Wars galaxy! Originally founded in Europe in the 1940's, LEGO has become one of the most popular brands among children of all ages. 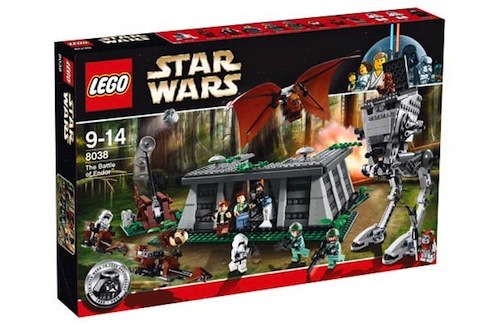 In 1999 LEGO began to produce Star Wars sets and figures to coincide with the release of Star Wars Episode I: The Phantom Menace. Since then over 200+ LEGO Star Wars sets have been made traversing the prequels, original trilogy and expanded universe. From Luke Skywalker's Landspeeder to the Empire's dreaded Death Star; every corner of the Star Wars universe has been lovingly immortalised in brick form. LEGO Star Wars is undoubtedly one of the most successful spin-offs in recent years and shows no sign of stopping as the Clone Wars begins its fourth season on Cartoon Network this Autumn. Start building your LEGO collection at Argos. 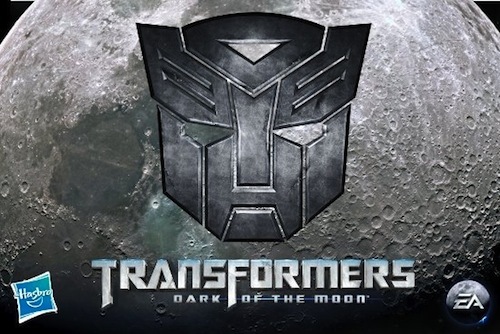 Transformers: Dark of the Moon hits the App Store! Transformers fans should get a kick out of this official tie-in even if Michael Bay's latest movie collapses into migraine-inducing nihilism! Read the review on Film4 here.